We're off and running on The 100. This is a photo from Episode 2, "Earth Skills." The 100 Season 1 Episode 2: "Earth Skills"
Permalink: Now she sees you. Wells: You can stop this. Bellamy: Stop this? I'm just getting started. Permalink: Stop this? I'm just getting started. 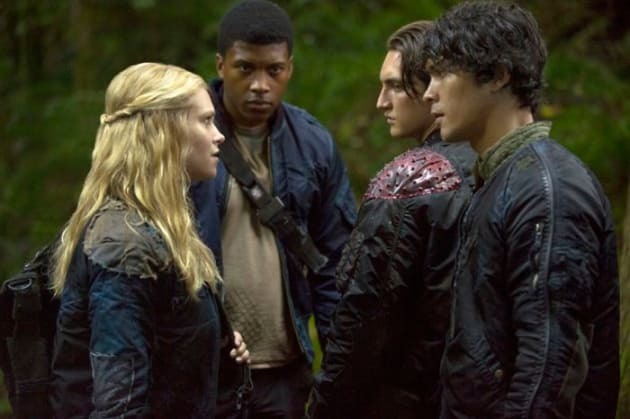 The 100 Review: Anarchy or Fascism?